Emirates Holidays, part of travel services provider dnata, is set to establish a local presence in Denmark and Sweden in Spring 2019. The new branch in Scandinavia will cater to Danish and Swedish travellers, offering them unique travel experiences. The operations will be based in Copenhagen and supported by a team of local travel experts. “We are pleased to be expanding the Emirates Holidays footprint to Denmark and Sweden. Both markets are very valuable to us and we look forward to giving travellers more options for a bespoke premium travel experience to Dubai,” said Kenneth Andersen, General Manager, Emirates Holidays Scandinavia. 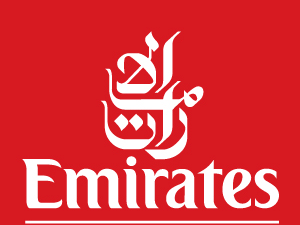 Emirates Holidays, which has been in operation for over 20 years and operates in 38 source markets globally, exclusively supports the Emirates Airline and offers fully inclusive premium leisure packages to Dubai and beyond. The core Emirates Holidays proposition is based around providing exceptional value premium holidays, through close relationships with key supplier partners, as well as delivering a clearly differentiated quality of service and expertise. Emirates Holidays Scandinavia are already established members of the Danish Travel Guarantee Fund and will apply to be part of the Swedish Travel Association and Danish Travel Association. 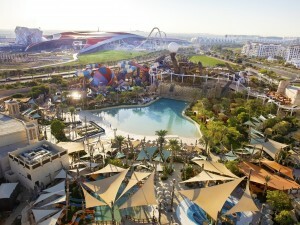 The expansion of its network into Scandinavia will help to support further growth for its flagship destination, Dubai, which expects to receive over 20 million international visitors by 2020 when it hosting Expo 2020. 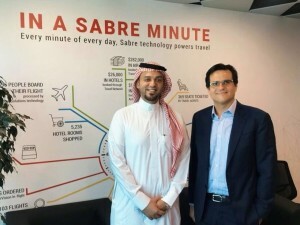 During a recent media tour, Christian Palacin, General Manager, Millennium Atria Business Bay announced that the hotel is set to welcome guests from February 14, 2019. Several members of the media had a sneak peek of the 347-room hotel apartments at the tour and were given a preview of the rooms, dining outlets and facilities including the infinity pool and gym located on the 25th floor. Millennium Atria Business Bay will offer studio, one-, two- and three-bedrooms, and duplex apartments that are designed by internationally-acclaimed interior design company YOO Studio. The 30-storey property is the first hospitality venture of Deyaar Development PJSC, a leading property development and real estate services company in the UAE. The opening will come in phases with the first six floors to open on February 14 and the rest in the next three months. Each apartment is fully furnished with views of the iconic Burj Khalifa, Dubai Stables or Dubai Water Canal. 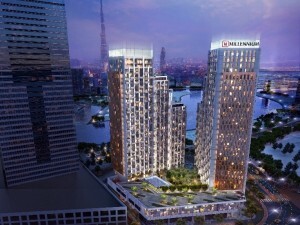 “We look forward to the opening of this property which is a nice addition to the Millennium brand in the UAE. 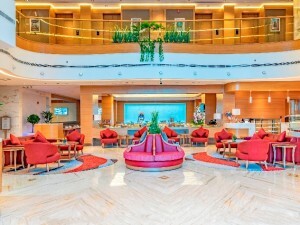 The Millennium Atria Business Bay is an interesting product with an excellent location, good size of the apartment, unique design, top-class furnishing. We have been rated as a deluxe hotel apartment classification by the Department of Tourism and Commerce Marketing,” noted Palacin. The team of Golden Sands Hotel Apartments, part of AA Al Moosa Enterprises, recently participated at the Dubai tourism roadshow in India. The team joined the delegation headed by the Dubai Department of Tourism and Commerce Marketing (DTCM) that visited the cities of Kolkata, Pune, Ahmedabad and Mumbai and met with potential partners and buyers, in a move to further boost the overall number of Indian travellers to Dubai. According to DTCM, visitors from India have increased by 7 per cent in the first quarter of 2018. 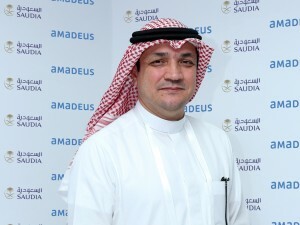 Mohammed Khoori, General Manager, Golden Sands Hotel Apartments said, “We are very keen to get a share of this growing market so we met with several partners who can promote Golden Sands Hotel Apartments to travellers from these four cities. 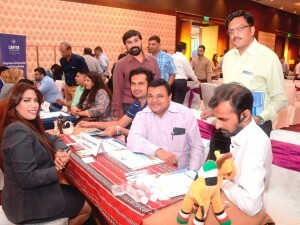 We received great feedback from tour operators and travel agencies who informed us that Indian travellers coming to the UAE are choosing Golden Sands as their preferred accommodation.” The team focused on meeting travel agents and tour operators who are selling the destination to family and individuals as well as niche segments such as small family group, golf, wedding and luxury. Representatives from hotels, airline heads, opinion leaders and heads of key travel trade associations along with travel operators were invited to attend the four-day roadshow.